RFID Access Control - Peak Teks, Inc.
RFID stands for Radio Frequency Identification and is use quite frequently in access control systems. They contain a miniature computer chip and antenna inside the credit card sized piece of plastic. It doesn’t contain very much data but is more than enough for UUID and ecryption. How this technology works is simple, integrating it may not be. There are 3 main parts to the system. A built in antenna that communicates for the transponder. Both of these items are located in the RFID card or key chain units. They in turn communicate with the transceiver that decodes and interprets the data received from the card. The antenna can only send it’s information for very short distances (usually a couple inches). The antenna is powered by other RF radiation (think wireless charging) which it receives when placed near the transceiver (reader). That makes the technology not require anything but a card. There is no power needed so there aren’t any batteries to die or replace. Because there isn’t any power supply needed these can work great in animals (i.e. Pet Microchip) as they can store the contact information of the owner so they may be reached should something happen. Taking the above information into context you can begin to see the technology and it’s possible applications. We in particular use the technology to manage our Access Control systems including but not limited to door access, computer access, alarm system integration, power systems, as well as several other items. Since the code changes after each use it is difficult to copy and yet simple to update. 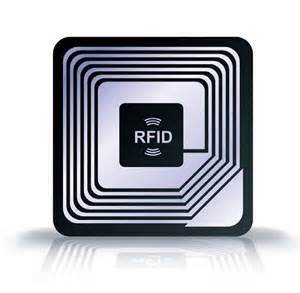 RFID technology has been around for almost 50 years but until recently wasn’t cost effect to purchase. With cards falling just below $1.00 for the average consumer it has now become cheaper to have a newer Access Control system then it is to have keys made a local hardware store. They are so much more secure that you don’t have to re-key the entire building if a manager looses a set of keys. A simple call and the card is deactivated and new one entered. No waiting for a locksmith and not paying $3.00 each for 50 keys is incentive enough most people.